California's single largest licensed grower isn't in the Emerald Triangle. He's in Santa Barbara County. His name is John de Friel. 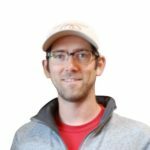 Four years ago John de Friel was a grad student studying bioengineering. Now he's one of the state's leading cannabis farmers. Supervisors in the county of 450,000 residents last year approved cultivation rules with no acreage caps or license limits for individual farms. Earlier this summer, 75% of voters approved Measure T, which authorized a 4% gross receipts tax on commercial farming. 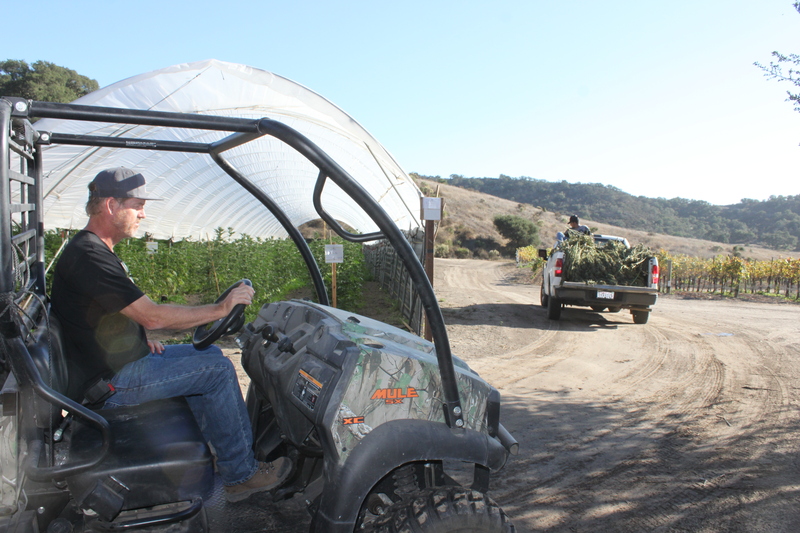 Meanwhile, local and state rules have allowed Central Coast Agriculture to amass 89 “small cultivation” permits—for a total of 890,000 square feet, or 20.4 acres of cultivation. He is the single biggest producer in California’s cultivation landscape, and the first cannabis farmer to be appointed to a California county board or commission. “My thought process was in developing cannabis as agricultural crop, and it only made sense to do it on a large scale,” said De Friel. Central Coast Agriculture’s 22 acres remain puny compared to the average non-cannabis farm in Santa Barbara County. Here, strawberry fields, vineyards, cattle ranches, and other properties average 440 acres. But those 22 acres offer a big-ag feel. Mechanized harvesters strip cannabis leaves and flowers from stalks. They are hauled to a giant conveyor belt, which feeds mounds of plant material into a cryogenics processor that flash-freezes the cannabis at -120 degrees. 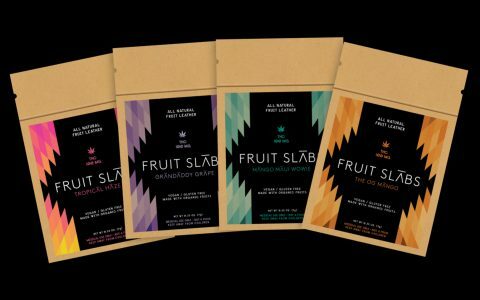 The packaged product, vacuum-sealed and loaded into refrigerated trucks, is shipped to manufacturers that process the farm’s Raw Garden concentrates, sold in nearly 380 California dispensaries. Santa Barbara County Supervisor Das Williams, a former Democratic state Assemblyman, didn’t support Proposition 64. But, after it passed, he backed creation of a locally governed cannabis sector. Among the beneficiaries were once-thriving floral greenhouses in the coastal community of Carpinteria. This year's county cannabis tax revenue is expected to be $8 to $14 million. Santa Barbara allows cannabis cultivation inland, but has banned it along most of the county’s 110-mile coastal zone. Williams helped carve out an exemption to allow up to 186 acres of mixed-light cannabis production in Carpinteria. There, competition from the international flower market—namely cheap imports from Colombia—decimated greenhouses that for decades had grown lilies, Gerbera daisies, tulips, and irises. Now those greenhouses are blooming again with cannabis. With the first county tax payments coming in under Measure T, Williams says this year’s fiscal year revenue will exceed projections. “We were looking at $8 million to $14 million and my sense is that it will come in at the high end,” he said. The county has budgeted $5.8 million in cannabis money for its 2018–19 fiscal year. Some $3.5 million in cannabis taxes and permit fees are funding 22 positions in law enforcement and the county’s agriculture and planning departments. In a county where 61.5% of voters approved Proposition 64 (four percentage points higher that the statewide margin), supervisors have notably decided to let the cannabis market determine the size of licensed farms. While Central Coast Agriculture is already at capacity, most other cannabis growers have fewer acres under cultivation than their permits allow. Robert Haugan is one of the major cannabis producer in Santa Barbara County—and he still isn’t quite sure how he ended up in that position. 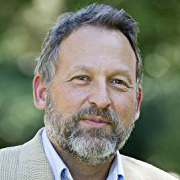 Haugan, 54, is a business litigation attorney in Orange County. 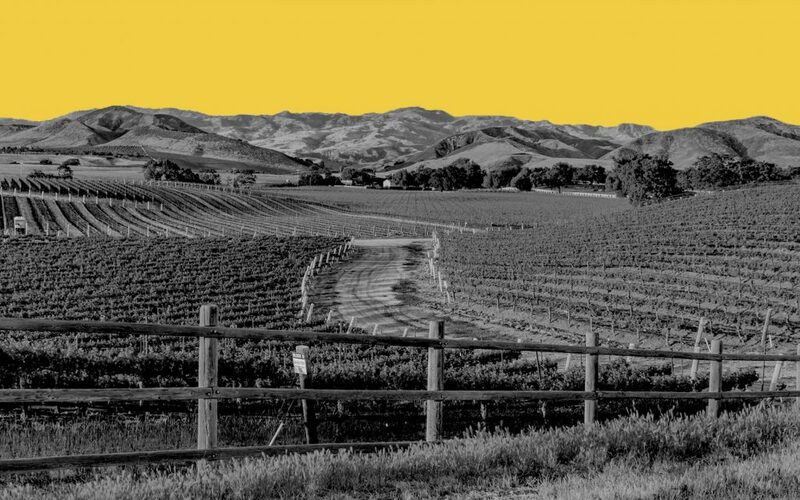 Years ago, he bought 160 acres in the Santa Rita Hills near the Santa Barbara County community of Lompoc. He hoped to preserve the property as “mitigation bank,” earning fees from land developers who offset the impacts of their projects by paying into a fund to protect open space and natural habitat. But that plan fell through. Next door to Haugan’s property, a neighbor was already growing cannabis. So Haugan decided to develop the existing vineyards on his property and add a cannabis crop of his own. He now has a $2 million investment in the venture—Gypsy Canyon Farms—which produces 20 acres of pinot noir grapes and is permitted for 11½ acres of cannabis. He has about half of that acreage in production. One of the major attractions of Santa Barbara County is simply its geographic location. Santa Barbara’s cannabis farms, along with expansive growing operations in Monterey County’s Salinas Valley, have unnerved some cannabis advocates who worry the expanding operations may threaten the small farms and niche growers who have historically produced some of California’s finest cannabis. 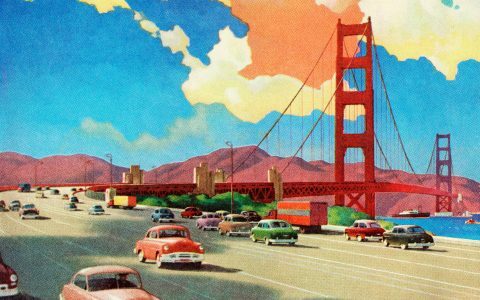 The lawsuit, which is still pending, reflected fears of craft cannabis growers in Humboldt and Mendocino that their niche flowers could lose out to the Budweisers of bud. 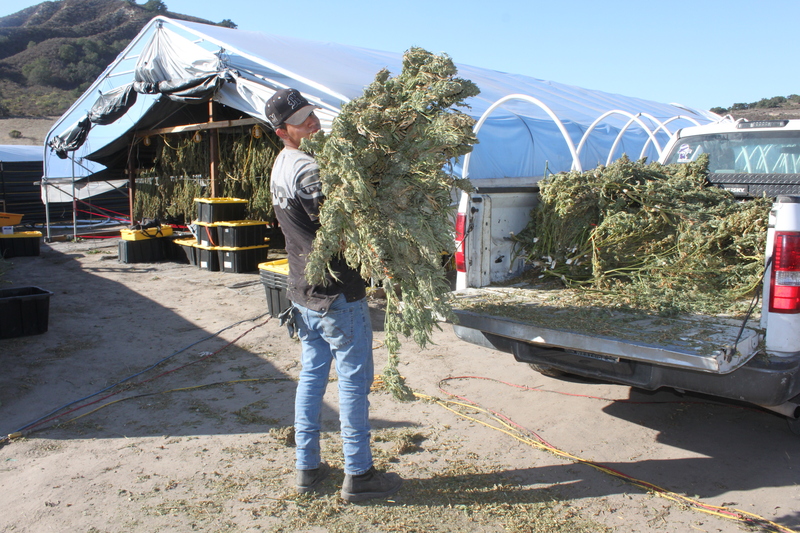 But Santa Barbara County farms largely produce bulk-grade plant material that’s processed into concentrate for vape pens or cannabis concentrates. Autumn Shelton, a business partner and the marketing face of Autumn Brands, a Carpinteria cannabis producer, hopes Santa Barbara’s newest commercial product will someday hold the same mystique as its Central Coast wine grapes. Shelton, 38, a former real estate broker, has partnered with a traditional flower grower who has converted four acres of greenhouses to cannabis. Autumn Brands employs 75 people in eight licensed cultivation rooms, a plant nursery, and a packaging facility. The company is producing cannabis pre-rolls and buds sold in 100 dispensaries.